I made my first foray into Yellowstone National Park last May and enjoyed exploring new terrain – of which there is much and varied. The wildlife was abundant and I was lucky to have several encounters with bears that were fantastic. 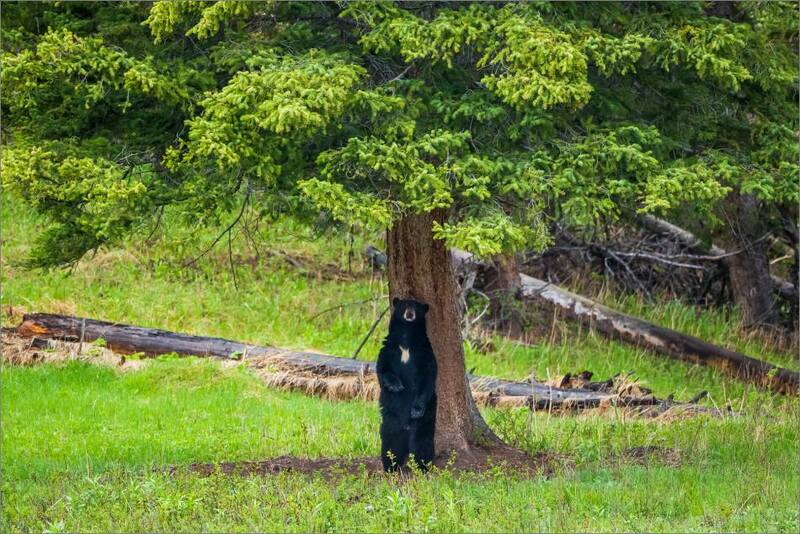 One of these was with this Black bear in the Tower-Roosevelt area. He had emerged into this clearing from a sheer cliff that leads down to the Yellowstone River (I would have loved to watch him scramble up the bank!) 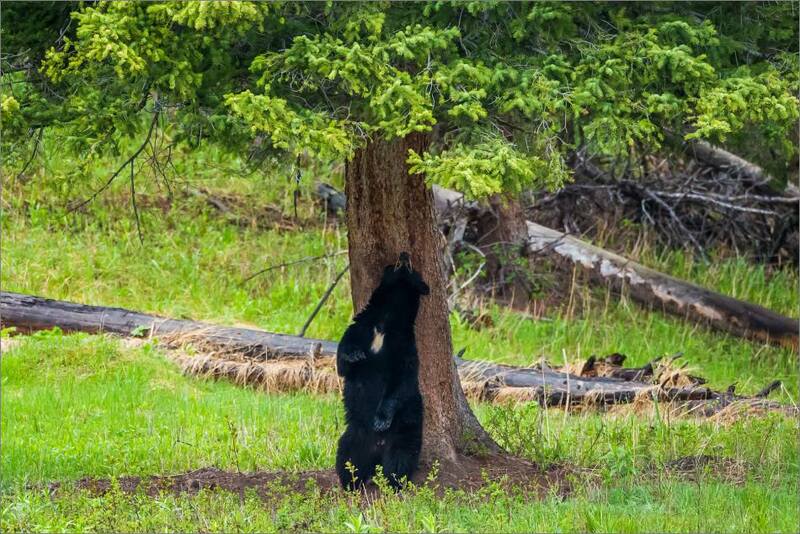 He shook himself out as he walked across wet morning grass and stopped under this tree. From the worn out ground under the tree, I think he and other bears frequent this spot often. The bear raised up on his hind legs and proceeded to enjoy a back scratching session for a couple of minutes.